Suk-Wah Kwok has been the Asia Pacific Regional CIO of Lockton Companies since 2012. A multi-award winning company headquartered in US, Lockton is the largest privately owned insurance brokerage firm in the world, and ranked 10th overall. Prior to Lockton, Suk-Wah was the Hong Kong CIO of Aon, the world’s largest insurance broker, for over 10 years, and was instrumental in leading Aon to be the first FSI (Financial Services Institution) in Asia to successfully migrate key IT services to public cloud when cloud technology was still at its infancy. Suk-Wah’s IT career spans almost 30 years. She was a Project Manager with Sun Microsystems during 90’s Internet boom. After Sun, Suk-Wah held various IT management positions including Head of IT, Asia Pacific for Baring Asset Management, and Operation Director for commercial data centers, before taking up CIO positions in multinational insurance broking firms. 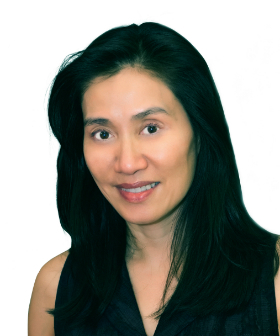 Suk-Wah is an experienced CIO well known for her versatility and insightful ideas. She is highly regarded in the industry for her courage in early adoption of leading edge technologies and her success in leading IT enabled transformations. For her long standing track record, she was awarded 2015 Top 5 CIO in China in January 2016, and Hong Kong CIO of the Year (Medium Enterprise Category) in March 2016. She was Chairperson of the HKMA IT Management Club from 2014 to 2017 and is currently a Council Member and the Treasurer of the Hong Kong Computer Society. Outside the IT industry, Suk-Wah served in the Hong Kong Auxiliary Police from 1998 to 2018. She was a Senior Woman Inspector of Police.